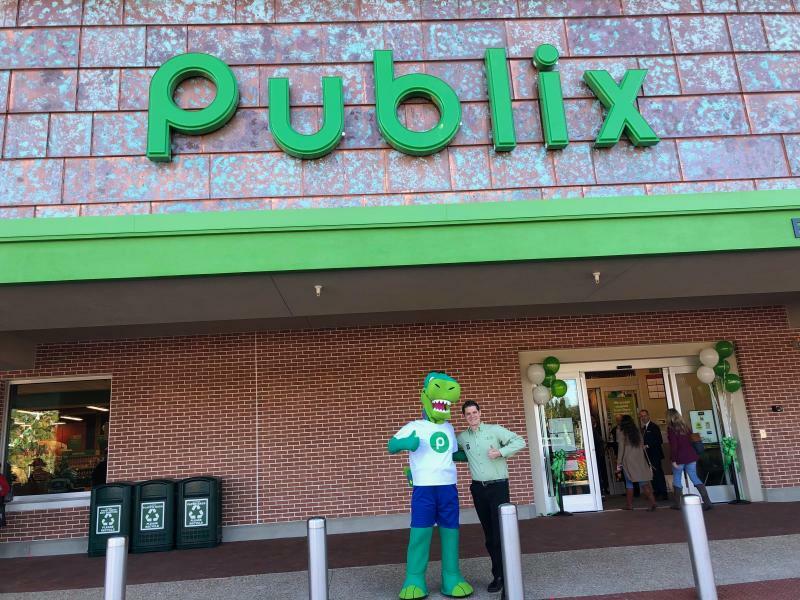 This morning America's first on-campus Publix opened in Tampa at the University of South Florida! It 's a full-service and full-sized grocery store on the edge of campus, right by Fletcher Ave for the convenience of students, faculty and local residents near the burgeoning campus. 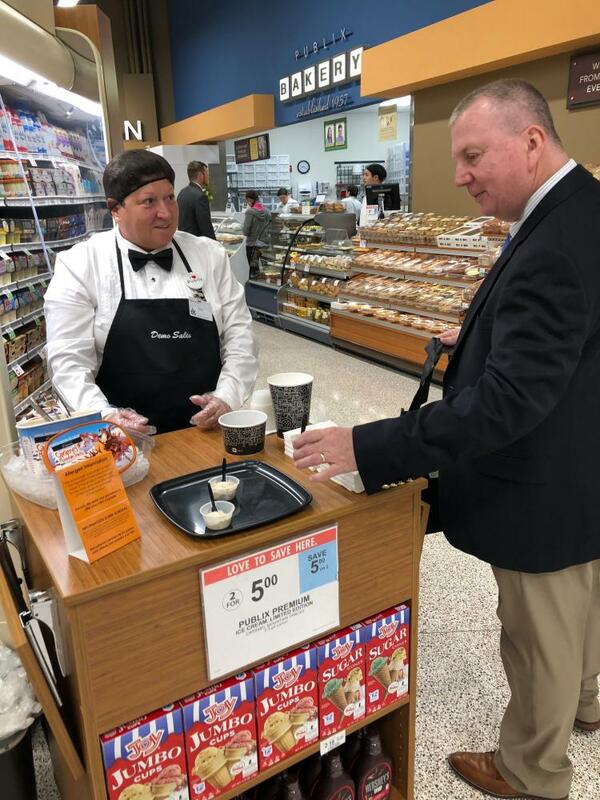 After visiting this morning during the grand opening, I noticed that the store catered to students and young professionals who look for easy to make meals on a budget. There were hot deals on the end of each aisle like small bags of snacks that were 10/$10 and cartons of ice cream priced at 2/$5. There were also plenty of workers giving out samples of many deals throughout the store. Like every Publix, the on-campus version is equipped with a fresh produce section, an extensive grocery department, a bakery, butcher and of course the world famous deli that is as much a part of being a Floridian as flip-flops and feeling shame during weird national news segments. The deli was the most unique thing: it's a square with a deli, the Pub Sub station, the fried chicken and hot food stations filling up the other sides of this serve-and-go area. 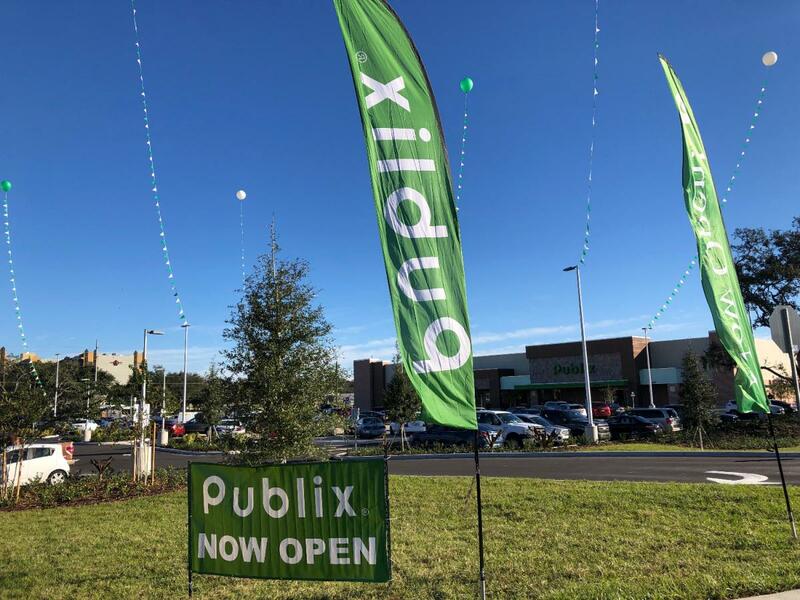 There is a larger variety of heat-up, grab-and-go and ready-to-eat meals along the perphiery of what is always Publix's most-trafficked area. USF students will love having this grocery store that focuses on convenience at their disposal. The addition of a Publix to the campus also makes it easier for students to live on campus without a vehicle. 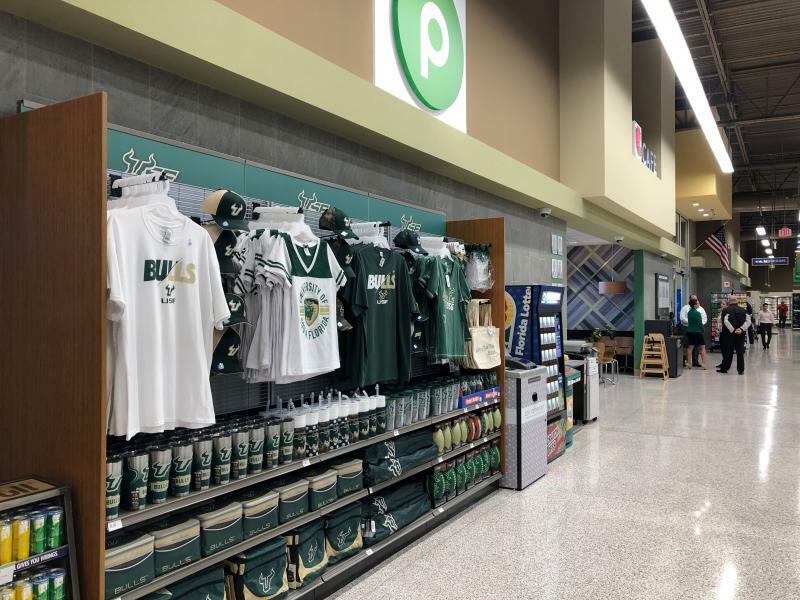 They can order Pub Subs online while in class and pick it up on their way to the library or back to their dorms, and the store sells USF merch and Bulls-themed baked goods so students can show their pride for the green and gold. One thing students may be disappointed to learn is that Bull Bucks can't be used to purchase anything from Publix. However USF students: Publix has job openings and if you’re in need of extra cash, they’re flexible with hours according to your class schedule. 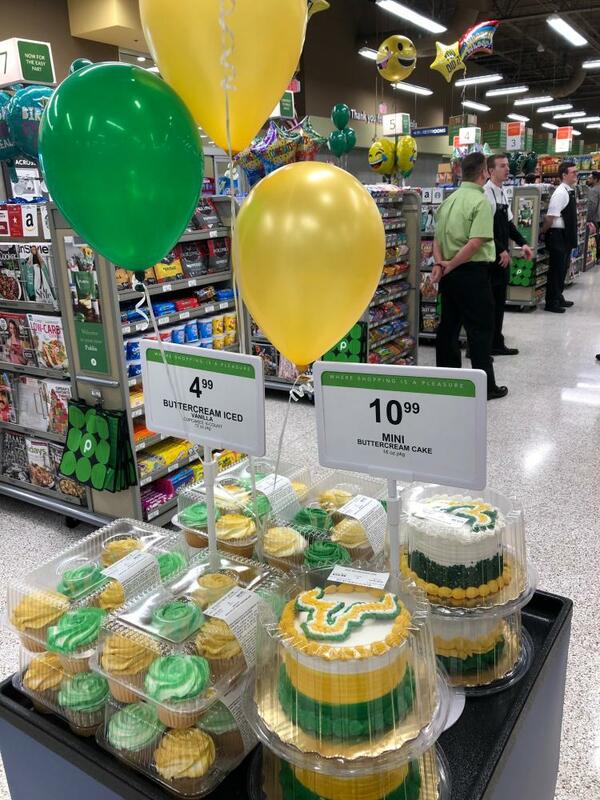 Welcome to USF, your first college campus Publix! And Go Bulls! For more information on new restaurants and dining options in Tampa check out 813area, your local guide to your favorite city!